Whatever kind of product you’re dealing with, it’s a near-certainty that you’ve spent some time in the past dealing with unnecessary support queries. The statistics show that video can help! Trying to demonstrate the complexities of your product or service with an uninspiring combination of text and images often isn’t enough, and can leave your user confused, irritated, and aggressively seeking out the ‘Help’ button – bad times. Of course, what follows can be equally destructive. Disgruntled customers who submit support queries have to wait for a response from your team, which, however long it takes, will no doubt be too long for their liking. There’s a strong probability that by this point, regardless of how amazing your support team’s response might be, you’ve lost that customer – they’re gone and they ain’t coming back. So how do you avoid, or at least minimize, the impact of this damaging scenario? The first, powerful step you can take is a simple change in attitude. Instead of worrying about resolving issues for your customer after they’ve bought or downloaded your product, and ran into trouble…what if you provided them with the help and information they need before they buy? Not only does this nip support queries in the bud, it also strengthens your customer’s understanding of exactly how your product works, builds realistic expectations, and improves customer satisfaction. However much information you provide pre-purchase, it’s inevitable that a few customers will struggle. Whether you don’t quite provide sufficient information, or the customer just goes ahead and ignores it, it’s important to make sure that, should they run into difficulties, they can easily access the help they need. An FAQ section on your website is a good start – you’ll often find that many customers struggle with the same issues. But, as we say, relying on mountains of text carries it’s own problems. One such problem is that it can be a challenge to articulately and succinctly address customer issues with text. There’s always a temptation to make your copy long-winded, or use overly complicated language. The other is that you’re putting a heck of a lot of faith in the customer to have the patience to keep reading. Often, if they can’t find what they’re looking for right away, they’ll simply give up and submit a support query. A quick question; If your customer was sat next to you, how would you help to resolve their problem? We’re betting you wouldn’t get a pen out and start silently writing them an instruction manual! No. The obvious solution would be to get the product up on screen or in your hands, and SHOW them, with a well-paced, clear explanation of what you’re doing. Actually seeing and hearing the process step-by-step is such a powerful tool in developing user understanding. This is exactly what you can do with a video! Using simple screen-capture footage or a simple hand-held camera, you can show your user exactly what process they should follow to get themselves up and running. 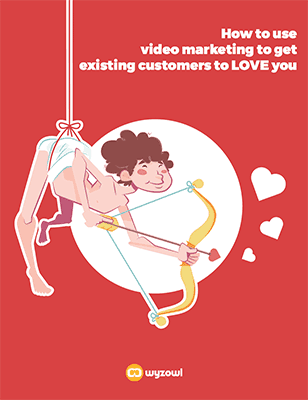 Whether your customer watches the video before they buy, in order to better understand the process, or after they’ve tried unsuccessfully themselves and need help, a video is the ultimate tool in resolving support issues before they come to you. We’ve found that videos are most effective when they’re under 2 minutes long…any longer than this can lead to boredom and viewer drop-out. So, if, like the guys at Mavenlink, you have a complex and nuanced product with many different selling points and functions, you may want to consider making a series of short videos, each outlining a particular feature. They worked with us earlier this year to produce a series of 23 videos, each demonstrating a different component of their overall service. Whether it was an overview of the Mavenlink user dashboard, a demonstration of how users could integrate e-mail into their account, or a run-through of how Mavenlink interacts with QuickBooks or Google Drive, each video offered a short, snappy and straightforward run-through of how that particular feature worked. The end result? Customers were able to get a clear, step-by-step understanding of the different functions, helpful because a) better understanding often leads to more conversions, and b) it resolved any support issues customers may have had at the earliest possible opportunity. If a user was struggling with integrating QuickBooks, for example, they simply had to watch that particular video, and they could understand the entire process from start to finish, all at their own pace. Then it was just a case of following the steps in the video, and they were all set – without any need for support tickets or expensive technical help! So, as you can see, video can be a valuable tool in reducing customer support queries, which can save you time, money and improve your user experience. Sounds great, you say. But how the hell do I make a video? Well, every Wyzowl video package contains the full service – we write your script, design your graphics, animate your video, provide a professional voiceover and royalty-free music, and supply you with full HD files to use as you please. Not only that, but we’ll work with you at every stage to ensure you’re totally happy with the project, and there’s no guesswork on when the video will be ready – we operate fixed turnarounds to keep everything nice and clear!